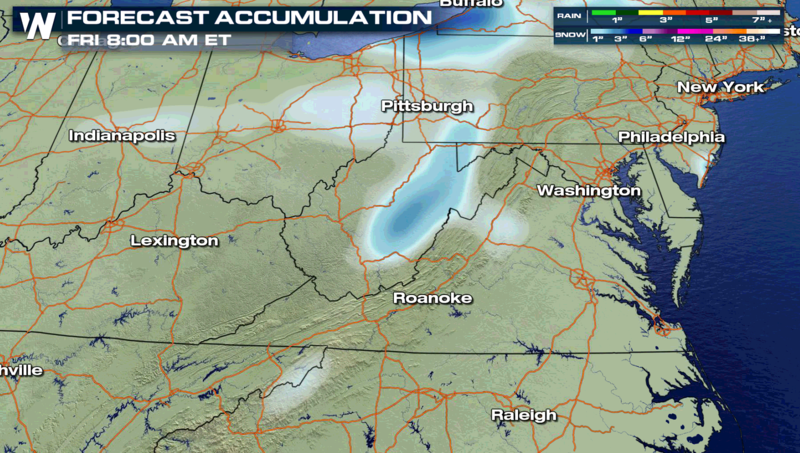 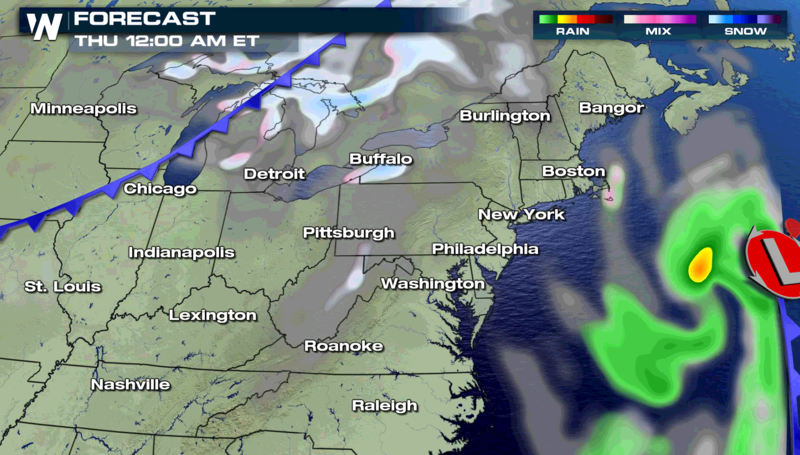 Snow showers will create some traffic slowdowns today (Wednesday) from the Great Smoky Mountains to the Jersey Shore. 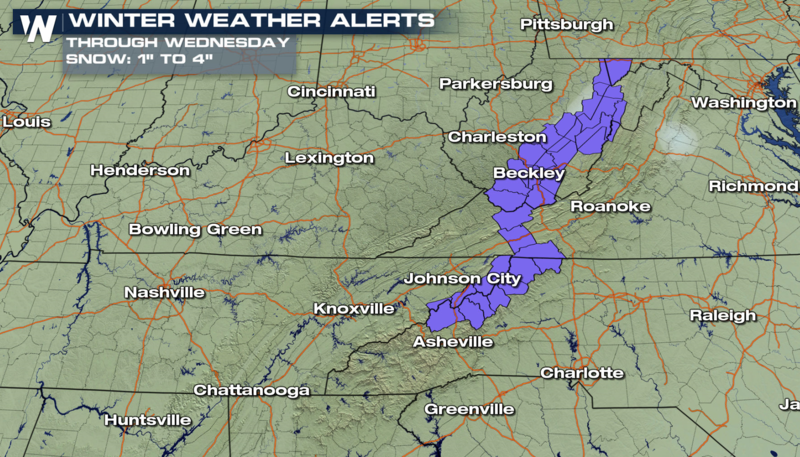 Winter Weather Advisories have been issued from Tennessee to New Jersey. 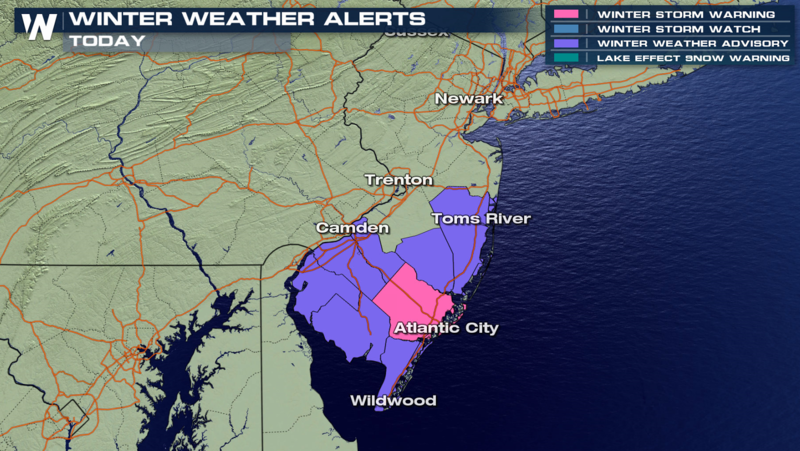 1″ to 3″ of snow is possible, with up to 6″ possible in the highest elevations and near Atlantic City, NJ. 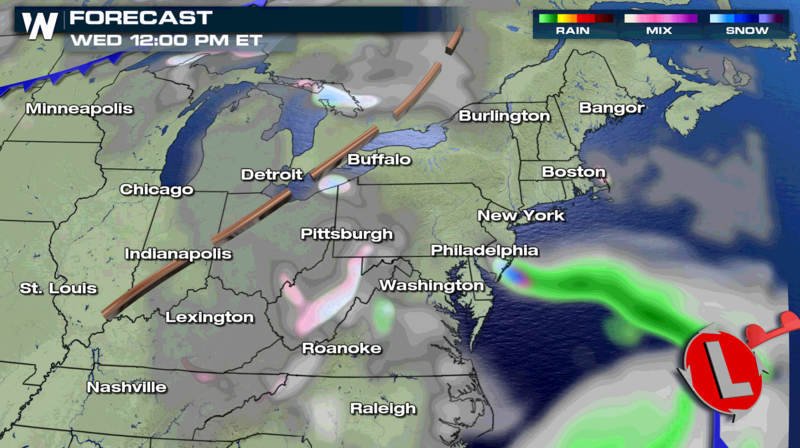 The low pressure center is offshore in the Atlantic Ocean, with an upper level disturbance crossing the area. 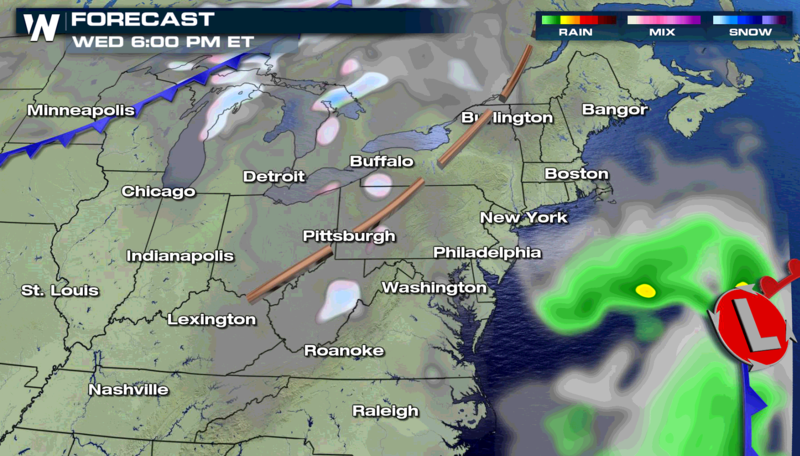 This will keep snow totals on the light side, with the main energy and humidity source continuing to move out to sea. 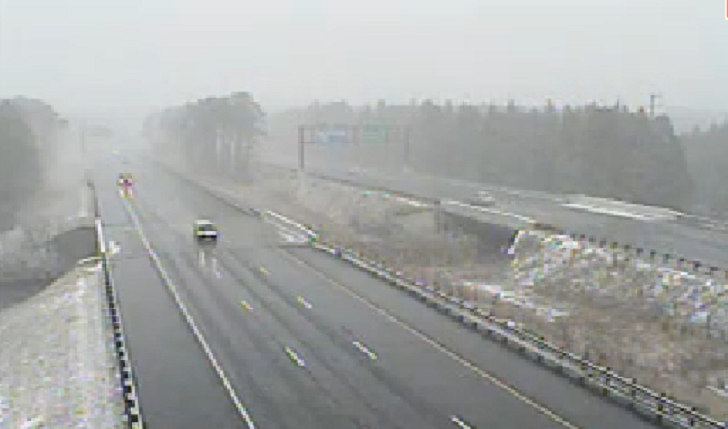 Travelers are advised to check ahead on road conditions and be prepared for slippery spots and slow travel.